Linen - Hemp-cotton cloth diapers Linen cloth diapers with hemp-cotton inner layer and inserts. 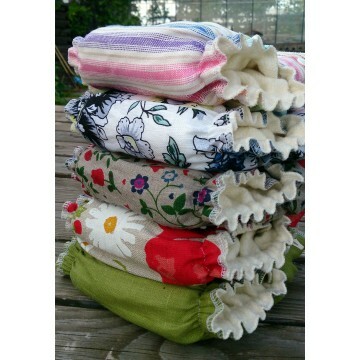 It is pocket diaper with the hemp cotton insert included in the pocket. Linen cloth is a bit harder than cotton, but it has better antibacterial characteristics than cotton and it is more durable over the time.